Is your glas half full or half empty? A real mojo day for me today. 😉 The sky was blue… ended up with a mountain of CLEAN and DRY clothes on my bed. Jay!!! Beats having a garage full of wet clean clothes that refuse to dry. Ditched the gym for a 40 minute run along a beautiful beach, with my favorite person. THEN…yes there is more! I went for a bike ride to pick my son up from nursery, which made his day, as he got to wear his new helmet AND I enjoyed some more sunshine on the way. Got to top up my vitamin D’s! I feel great! I believe that the tone of my day was set, when I woke up 5 minutes before my alarm went off. Thank you for my mojo day! 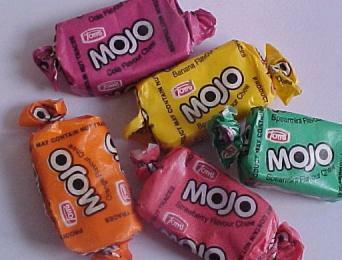 For those of you who missed out on mojo today, here’s some coming your way! Is 2011 going according to your plan? Just about half way through 2011, what have you got to show for this year so far? The last week my boys have been so giggly and I just love to hear them laugh… That is the best medicine to absolutely everything. And I think all parents will agree on this one. 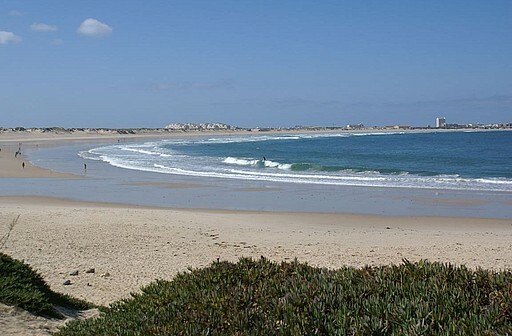 We had one of those idyllic days on the beach this weekend, a happy smiling all play and games family…. No fighting over who is going to have what towel, not too much sand throwing. Could not have been better, a little treasured memory, that you will remind yourself of when the rain is pouring and you are all getting cabin fever and the bickering starts. I like to believe that what happens is meant to be, but not in the sense that you will just sit on your bum and wait for things to happen. More in the way that you come to a cross-road, and the road you choose is the path for you, easy or hard. Like you are handed a set of tasks, then it’s up to you to decide how you are going to deal with them. So here’s to another six month filled with laughter, surprises, everyday stuff and a step closer to your “big goals”. I would like to up my running to twice a week, but at the moment I settle for an extra session every now and again. I alternate between a shorter and a longer run at the moment. On the short one my dog gets to go with me, this run turns into a resistance session as she is possible the slowest dog I know… Or maybe just not that into running? While on my own I can push myself and will then do a longer run. My plan is to be able to run to the beach and back by the end of the summer…That means to double my longer run, so quite a challenge for me. I would like to add a good abs workout to my week, as I feel that my stomach doesn’t get to work as hard as the rest of the body. Not sure if this should be a pilates workout or if there is anything else that is fun and effective out there. So I have a few things to work on this month. Which is good, as the experts say you need to keep it fresh change your routine regularly. So if you are sitting on a great abs-workout out there. Share please! I wish these were my abs!